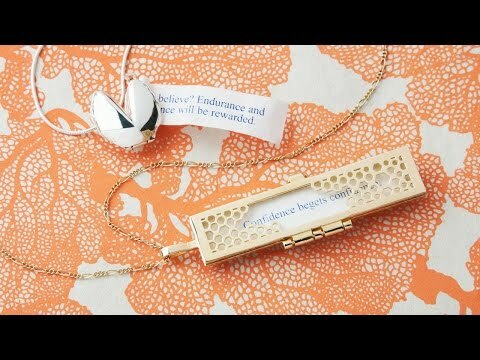 This fortune cookie locket opens up to hold your words of wisdom close. 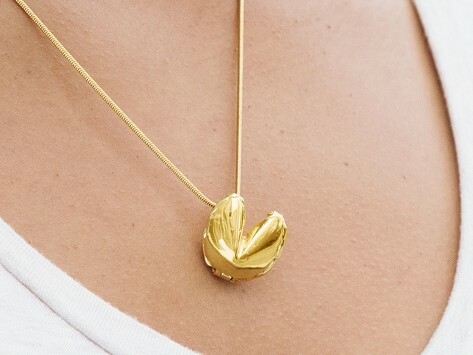 Easily swap it out when you have a new favorite and carry good fortune wherever you go. Dimensions: Charm: 1" x 1" x 0.5"; Chain length: 18"